Why do we get angry? Where does that instinct to fight back come from? Sometimes it is irrational, you just want to lash back. Sometimes you find yourself acting like a child when you fight back, it is emotional not rational. 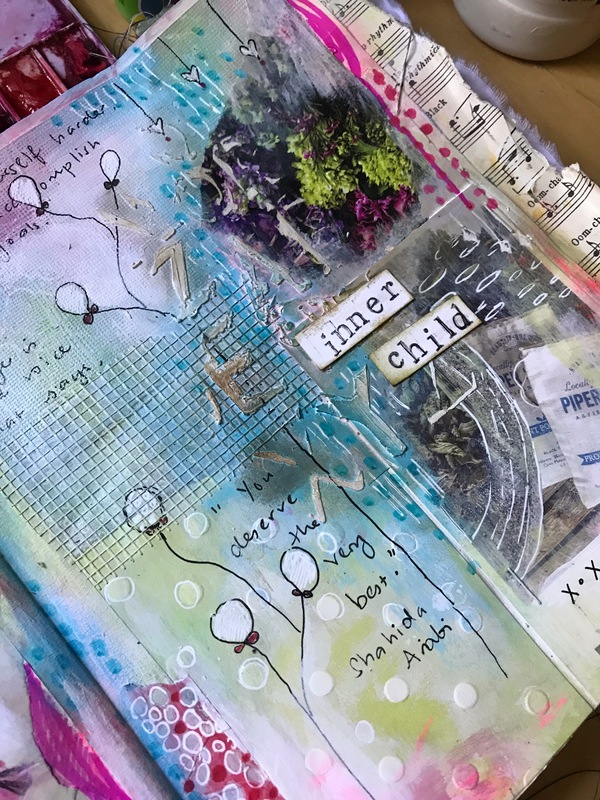 Perhaps it’s our inner child taking back its power? Protecting us? Inspired by the picture of these rag dolls I saw in a magazine. 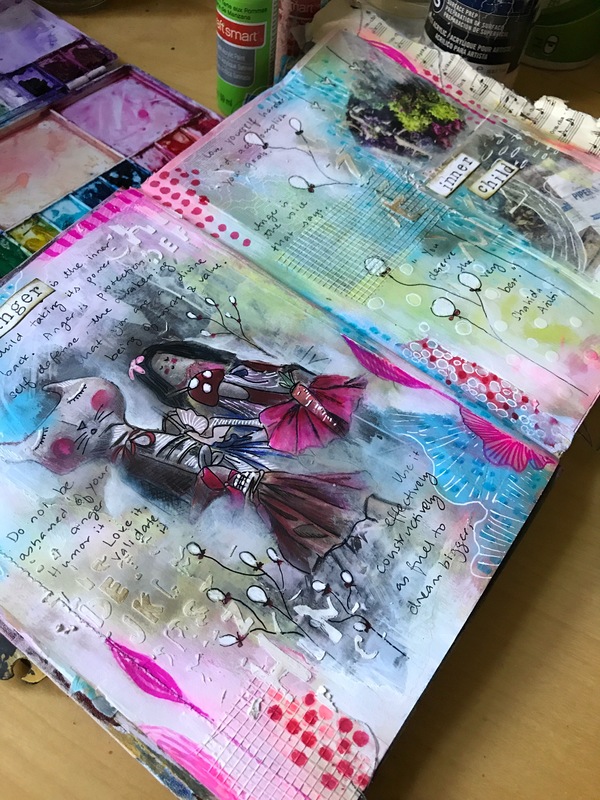 Created a mixed media piece in my alteredbook and added journaling in it. 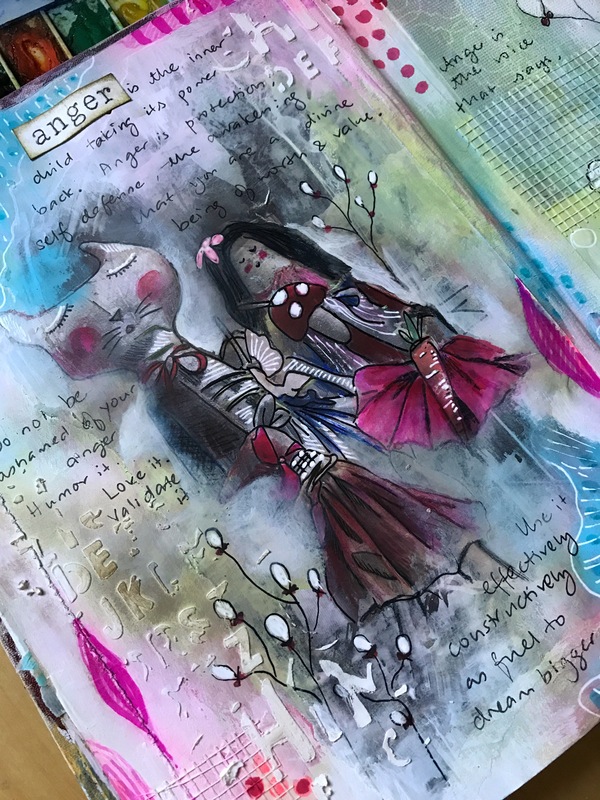 Acrylic paint, stencil with molding paste, doodle, marker pens.